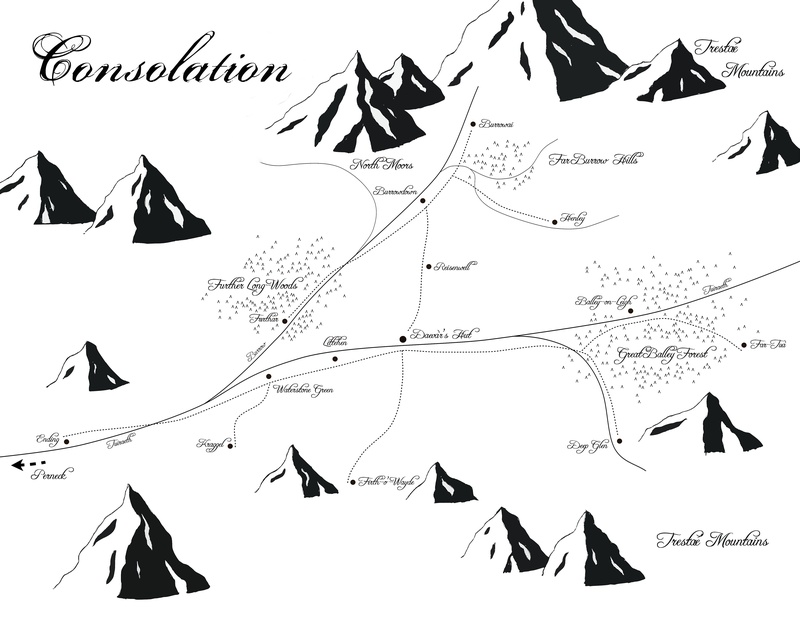 Based on feedback I received on the map of Consolation, I’ve updated it to improve both the layout and the shading. One of the things that was pointed out was that the shading of the map of Thaeìn was very austere and minimal – more or less black and white. I updated the mountains on the map of Consolation to match this, as well as repositioning them to match up with the position of the mountains on the larger-scale map of Thaeìn. I also cleared some of the unnecessary detail like hills (that I didn’t think looked particularly convincing anyway) and trees, leaving just the main forests behind. I’d love your further feedback on this again!